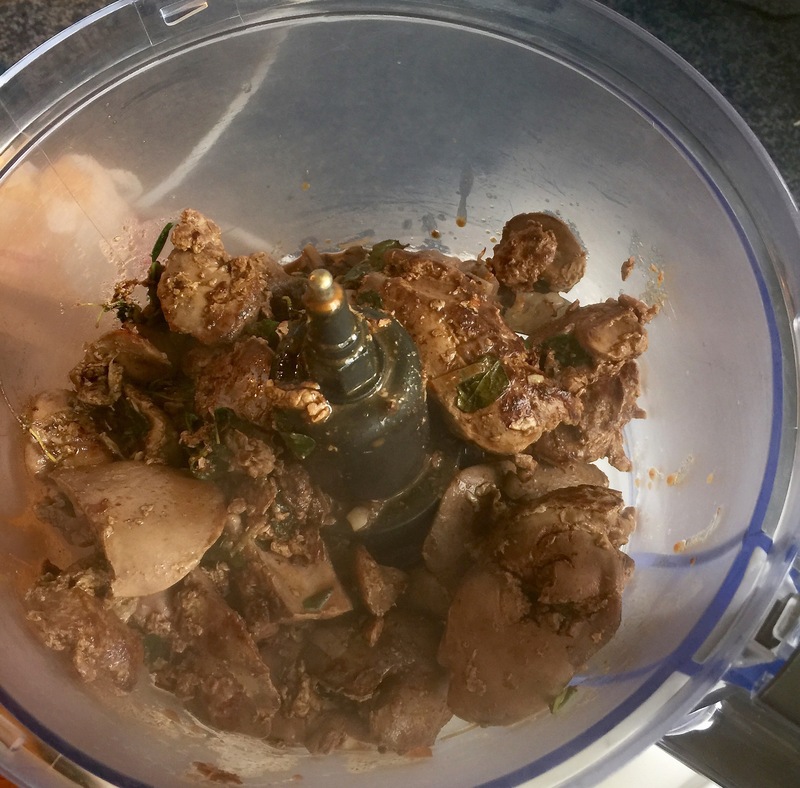 If the thought of organ meat makes you squeamish, then this is a tasty way to include some in your diet. Did you know that liver is one of the most nutrient dense foods you can find? Packed full of nutrients, it should be regularly on your menu. However, for many of us saying that we should be eating it regularly is a bit different to digging in and eating it with relish! Every now and again, my son, in a gentle way will badger me, (read nag), about eating liver. He is a purist – a primally inspired young man who takes his health seriously. 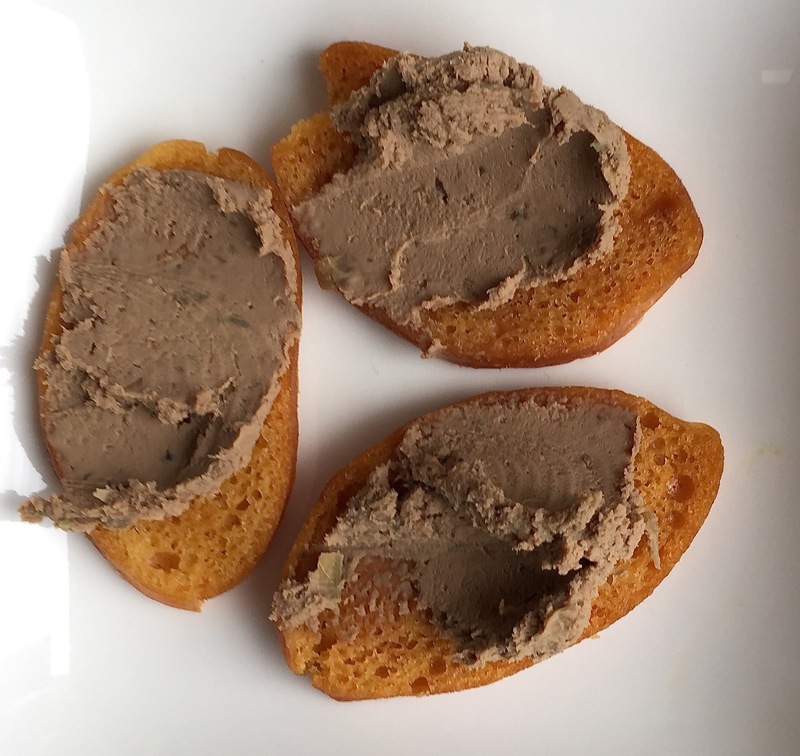 So, I have been thinking for sometime that the only way I could eat liver is to have it as pate or hidden in a bolognese sauce. Liver or in fact any organ meat is a great addition to our diet. Doing the whole head to tail consumption rather than just concentrating on muscle meat, which is generally what we do. Liver is high in folate, zinc, vitamin A and copper it has B vitamins galore, particularly vitamin B12. Western A Price Foundation has a great article about the nutrients in liver. Chris Kresser calls liver, nature’s super food. 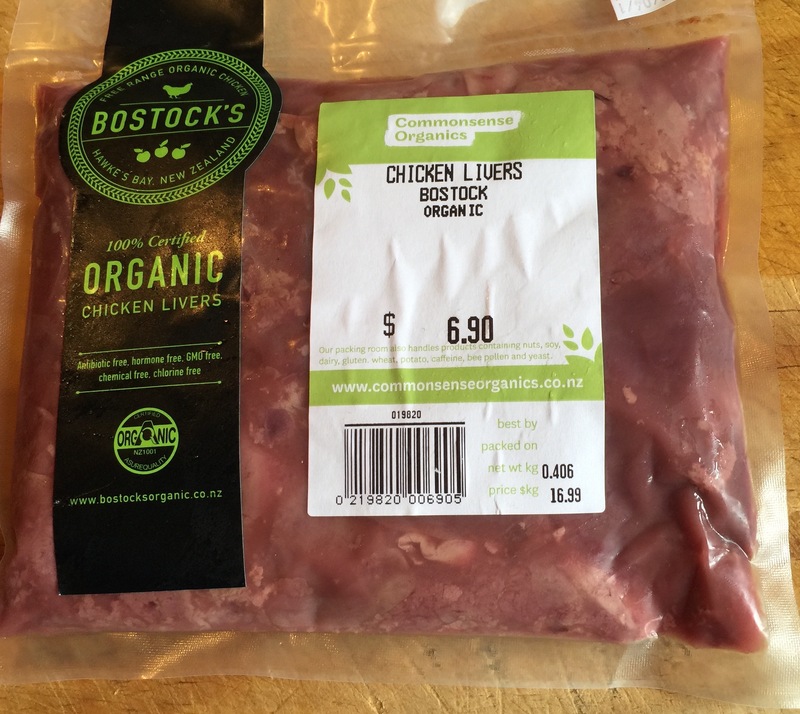 It is really important use liver from healthy animals, so ensure that you buy organic and pasture raised liver. So what about having a go? This recipe is super easy and makes about 5 small pots or one large bowl. If you don’t use straight away then you can freeze for later. 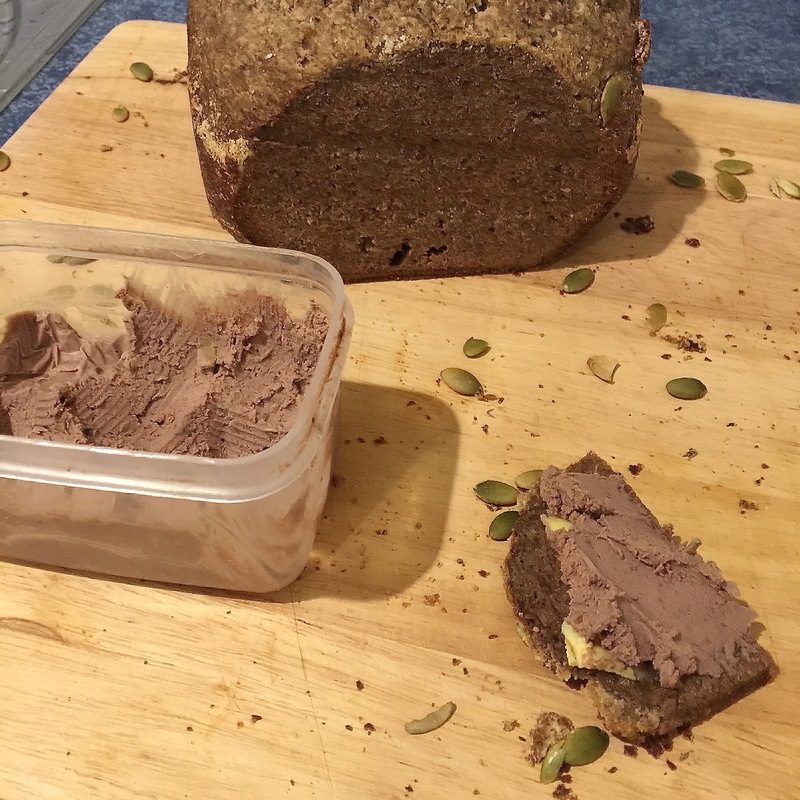 Try it with on some seed crackers or some freshly baked bread – wheat free of course! You might think it is easier to buy some from the store but when you make it yourself then you do know what’s in your food, and isn’t that a great bonus. 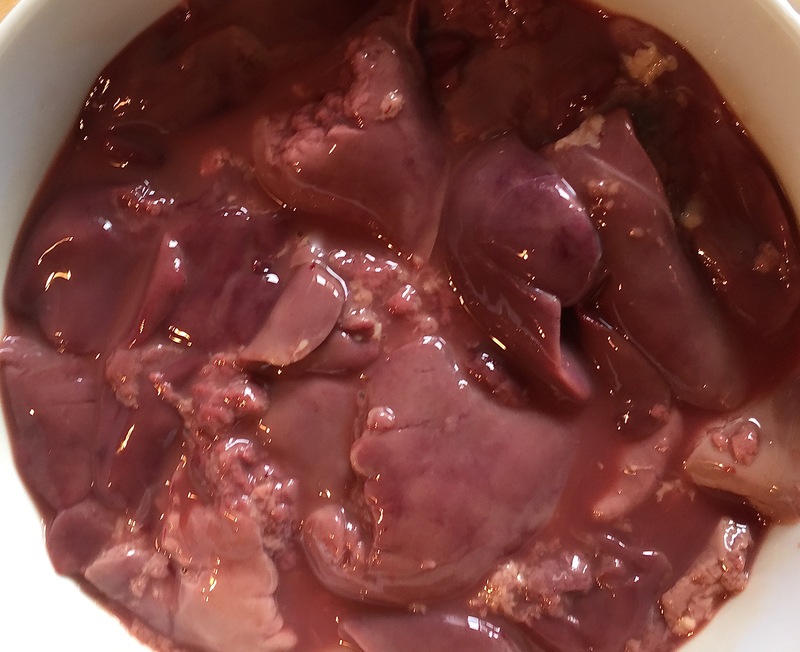 Get some good quality livers – yes they do look gross! Extra 150g butter or ghee, melted to seal each pot of pate. 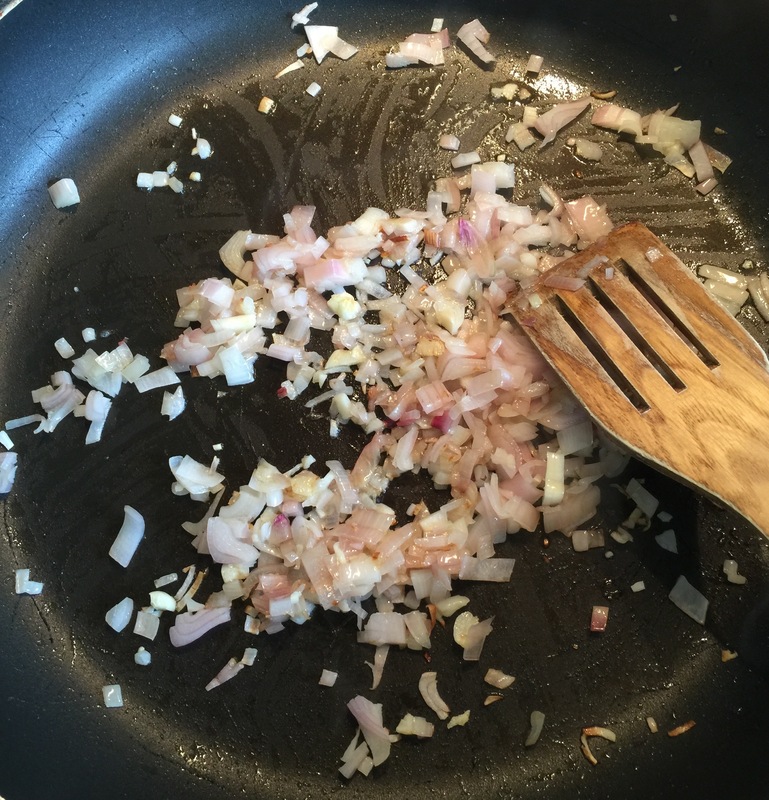 Gently fry your finely chopped shallots and garlic in duck fat or fat of choice until soft, then remove from pan. 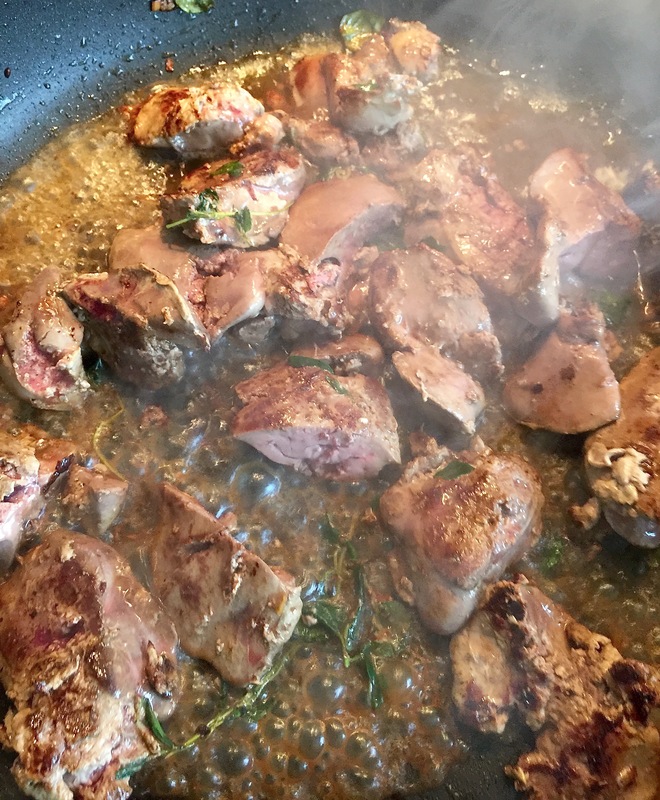 Add more duckfat to the pan and fry liver on a moderate to high heat on both sides. 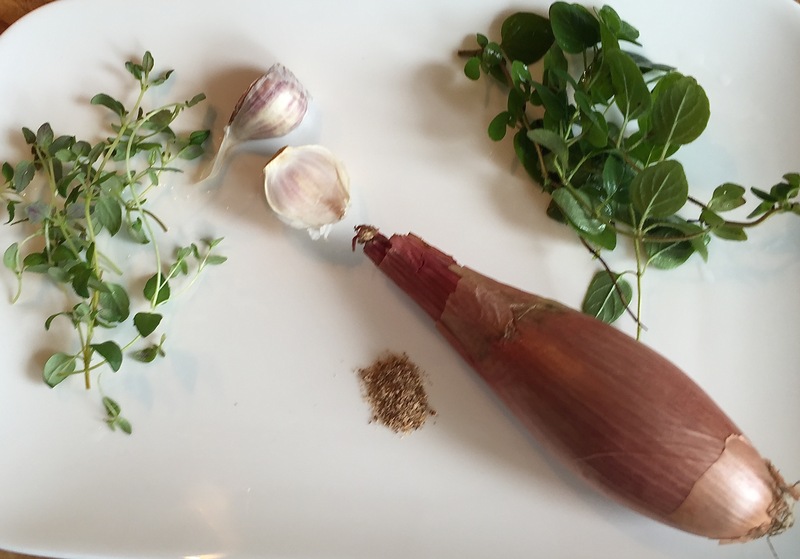 Add the cooked shallots and garlic along with the thyme, oregano and nutmeg. 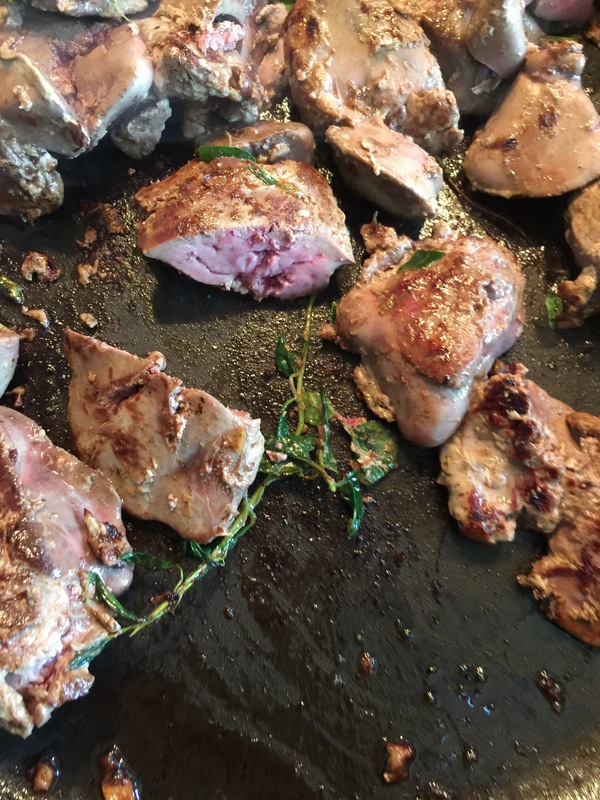 Cook liver until slightly pink inside, do not overcook. Add the brandy and cook the alcohol off – generally only a minute or two. Remove from heat and tip into a food processor. Add salt and pepper to the mix. Process until very smooth. Scrape the sides a few times to ensure all of the ingredients are combined. 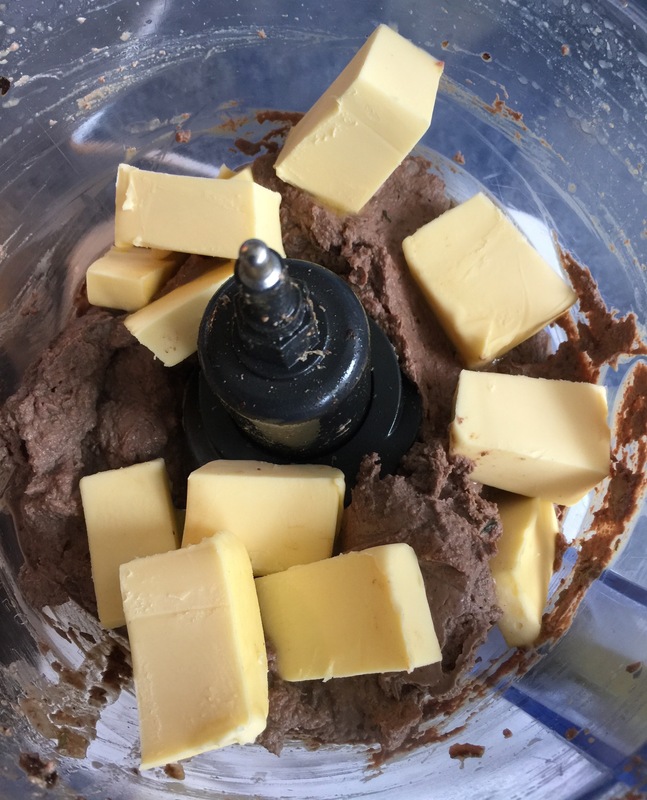 Add the chopped butter and continue to process until you have the consistency you like. 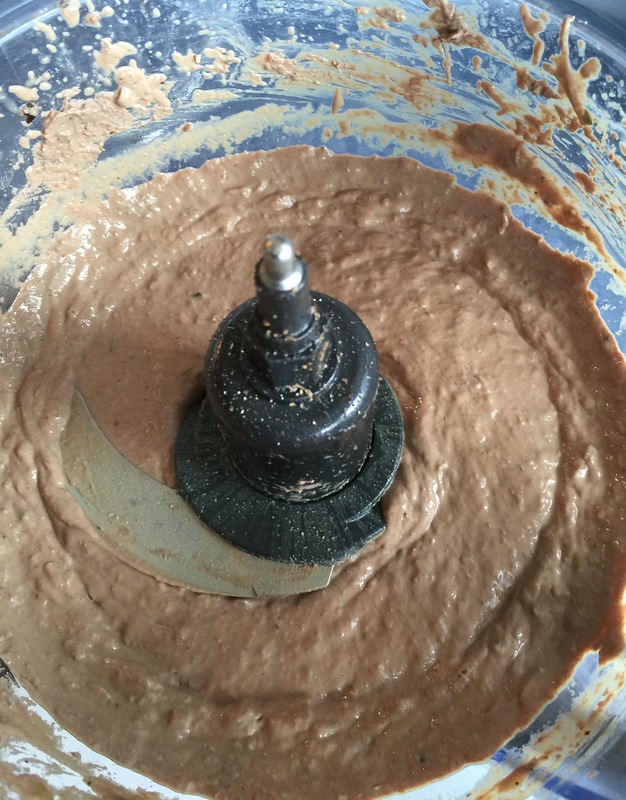 Divide the mixture up into your containers – I used 5 small ones, and smooth the tops. Melt the other portion of butter and tip a bit over each pot to cover the pate. This is to keep the pate from discolouring. Cool. Then freeze for later or serve with Gluten Free Crackers or a small squares of gluten-free bread.